Religion has played an important role in a wide range of conflicts around the world throughout the ages. It has also played a crucial role in bringing people together. This session will focus on an emerging collaboration among a number of interdenominational entities on the local level called The Community of Living Traditions. This collaboration includes the Fellowship of Reconciliation, Stony Point Center, Shomer Shalom, and The Muslim Peace Fellowship. The speakers will discuss their study, practice, promises and challenges of active nonviolence across faiths as they draw from different religious traditions. Mark C. Johnson, Ph.D., became the executive director of the Fellowship of Reconciliation/USA on March 1, 2007. A 1969 graduate of The College of Wooster in Ohio, and with a 1981 doctorate in sociology from Columbia University in the City of New York, Mak did his alternative service as a conscientious objector in Lebanon, living and teaching in Beirut for six years. From 2002-2006 Mark was active with the emergent Alliance for Middle East Peace and supported the development of leadership and training programs for young adults at the Jerusalem International YMCA as a member of the staff of the YMCA of the USA. Rabbi Lynn Gottlieb, one of the first 10 women to serve as rabbi, is a practitioner of Shomer Shalom and The Torah of Nonviolence. Lynn served as a congregational rabbi for 37 years, as program director for Interfaith Inventions from 2004-2009, and co-director of Middle East programing with Noura Khouri for American Friends Service Committee in San Francisco. Lynn is a storyteller, ceremonial artists, percussionist, author, wilderness guide and peace activist. 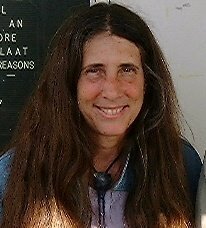 Cofounder of the Muslim Jewish Peacewalk , advisory board member of Jewish Voice for Peace, Lynn is also a founding member of the Community of Living Traditions at Stony Point Center where she currently resides in the newly established Shomer Shalom House. Rick Ufford-Chase is the co-director of Stony Point Center and the co-founder of the Community of Living Traditions, a Muslim, Jewish and Christian residential community committed to the study and practice of nonviolence. 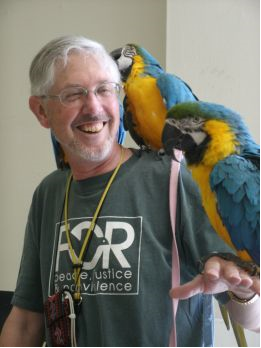 Rick is also the Executive Director of the Presbyterian Peace Fellowship. He spent twenty years working on the U.S./Mexico border in support of refugees and migrants. Rick is married to Kitty, a lifelong Quaker and his Co-Director of Stony Point Center. They have three children, Teo (14), Troy (12) and Leana (11). Rick served as the Moderator of the General Assembly of the Presbyterian Church (USA) from 2004 to 2006. Patricia Anton is a principal of Pillars of Peace which works to provide guidance towards respect and cooperation among traditions through research, training and facilitation. She received her BA in International Studies from Ohio State University. Then, was awarded a Graduate Fellowship in Non-Profit Management and Governance through Indiana University, earned an MA in Islamic Studies from Cordoba University, and has continued her graduate studies at George Mason University’s Institute for Conflict Analysis and Resolution. 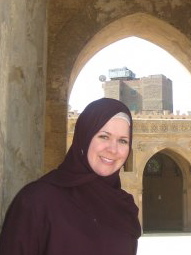 She has worked for several Muslim organizations including The Islamic Society of North America, Islamic Relief, the International Institute of Islamic Thought, and Cordoba University. She has also served as Adjunct Faculty at American University. She is a board member of the Muslim Peace Fellowship and currently living at the Community of Living Traditions at Stony Point Center.